Since my last post about putting together a manual for using a MAZI zone, been tickling a mindmap of what a booklet (or a few booklets) could be. Working on the option to make a complex task easier by putting one focus on the outcome – make a ‘zone for an event and promote collaboration and participation in the venture. Like the idea of enabling an event organiser (e.g. a small organisation or company) to provide event information, get direct feedback through a portable server that doesn’t need to be connected to the Internet. It becomes more interesting if it can – the Raspberry Pi 3 (recommended) can use a second Wifi device to connect to a local internet connection, while broadcasting the MAZI zone services too – neat. Discussing this with James, he suggested using the MAZI Wiki…not very visual, and somewhat clumsy as setting up instructions IMHO. The tickling shall continue, but with a focus on getting a booklet format. Re cently recruited to the team at Mycenae House in Blackheath is Debbie Richardson, a new outreach worker for engaging the older generation in social events and activities. 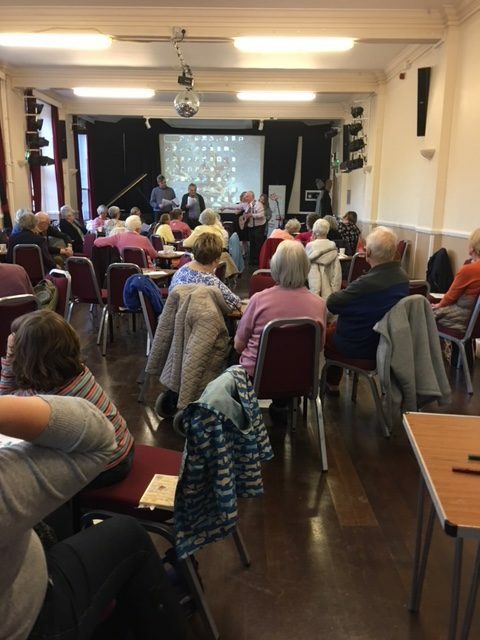 YT has had the good fortune in working with Debbie, creating a Jolly Afternoon of entertainment for the older generation in the area (23/11/17). 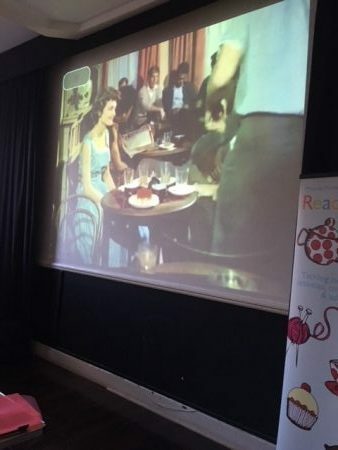 The afternoon started with a Blackheath Quiz, a short 1950-60’s documentary about Cafe culture in London, and a good old fashioned sing a long accompanied by local musicians. With no manager to attend the personal address system or to help with the projector, but Mark (the manager) kindly left good instructions which enabled a fairly straightforward situation that was just not expected; normally everything gets messy just before an event starts. YT as wannabe comedic host seemed to work, getting some responses from the crowd, and just making sure people can hear and call out was crucial. In one sense the crowd was being ‘worked’, but on another it was just making sure that the hall that had a good number of people participating. Great, yet tiring fun. Afterwards I thought about the format of the day, and how future events could have a game show approach, with sections for different activities or entertainment…it could be a really interesting opportunity to expand on my practice, and to even get some digital inclusion into the situation. This thought brings a recollection from Alan F Newell’s book about working in Assistive Technology and using forum theatre approaches to engage with older users of computers.